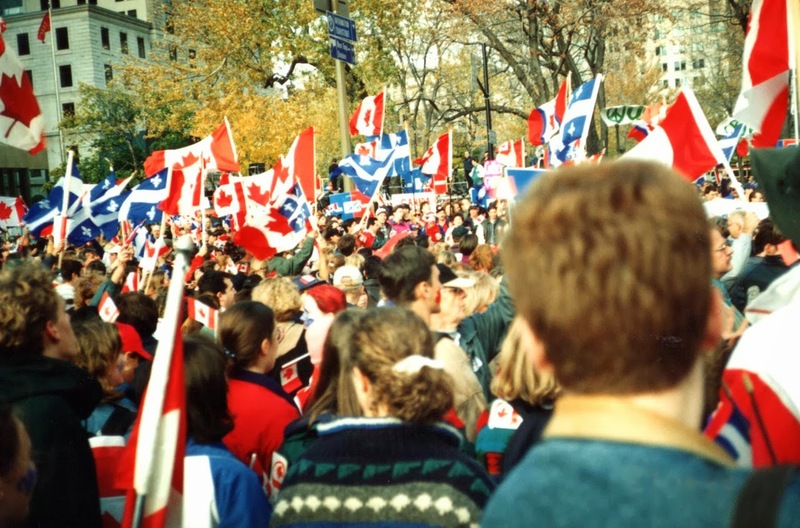 Quebec had a referendum on secession from the rest of Canada in 1995. Fortunately thousands and thousands of Canadians from the rest of the country demonstrated. They had a simple message. One hundred thousand people attended a “Unity rally” making a plea to the Québécois. It amounted to the following: “Please don’t go. We want you to stay.” The result of the referendum was close. 50.58% voted no to secession while 49.42% voted yes for independence. One of the reasons that the result was so close was because the yes campaign had promised things that were not in their gift such as the retention of the the Canadian Dollar and the maintenance of an economic and political partnership with the other Canadian provinces. Even though the rest of Canada had made it clear that they were unlikely to agree to Quebec’s wish list, a significant number of Québécois believed that they could have their secessionist cake and eat it no matter what their fellow Canadians thought. The secessionists nearly won. 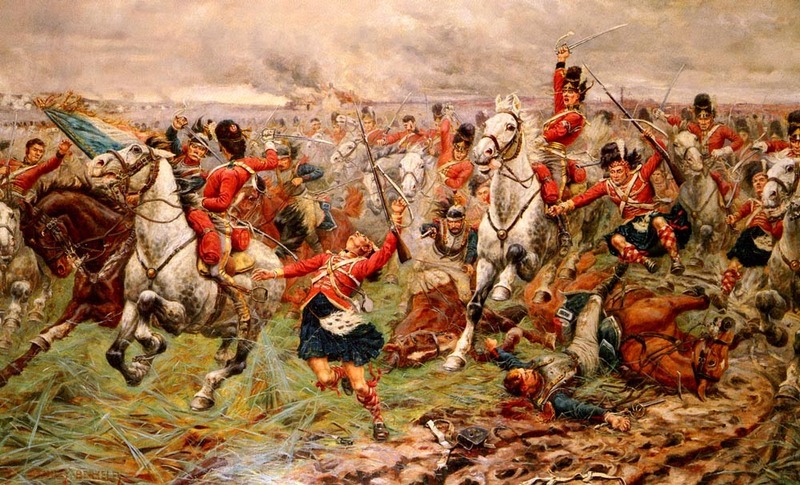 What prevented their victory may well have been the response of their fellow Canadians. The support for unity may well have made the difference. The mood in the rest of Canada was decisive. Imagine if there were a lunch club. Four people meet once a month to chat and share a meal together. Imagine if one member of the club was getting tired of it all, perhaps concerned at the expense and thought she would be better off eating alone. What would happen if the other three said something like “Good riddance, we didn’t much like you anyway”? Would this make it more or less likely that the person thinking of leaving would go? On the other hand, what if the others all presented a united view saying “Please don’t go, we would miss you so”? Up until now the English, Welsh and Northern Irish haven’t played much of a role in the debate about Scottish independence. But we in Scotland who support the UK really need the support of our fellow citizens. Just like in Canada it could make the difference. Of course, politicians in the other parts of the UK have generally shown that they are in favour of the Union. But it’s not so much the support of politicians that we need as the support of ordinary people. Unfortunately some of our fellow countrymen appear to welcome the secession of Scotland. I don’t know how representative they are, but I do know that they harm the case for the UK. Naturally, it’s an understandable reaction to the threat of divorce. 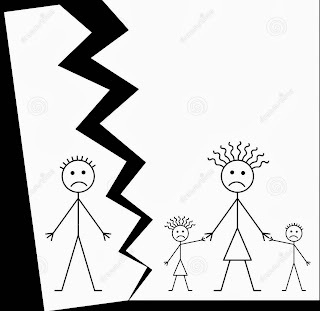 When a husband says he wants a divorce it hurts and the natural response is to say “Good riddance, I never much loved you anyway”. But what if the wife were to say “Please don’t go I would miss you so.”? Would such a response make it more or less likely that the husband would stay? But how can we in Scotland persuade the other parts of the UK that divorce is not the answer? One way might be to appeal not only to their patriotism as our fellow Brits, but also to their reason in terms of what is best for Britain including what is best for themselves..
We’re just beginning to come out of the worst recession since the 1930s. The UK has a single market, which is the result of our being in a union for hundreds of years. Gradually the fact that we have all lived in the same state has brought about harmonization. More or less the same laws apply to all of us. Business practices are similar. The experience of living in one part of the UK is not that different from living in another, which means that people move about freely and easily. Having a single market is of enormous economic benefit. It is one reason why the United States is so successful economically. Scottish independence is bound to have a disruptive effect on the UK single market and gradually as Scottish laws and practices diverged from the rest of the UK (rUK) the disruption would increase. The one argument that convinces me that it may be in our interest to remain in the EU is the existence of the EU single market. If the UK were to leave we would not have all of the benefits of membership of that market. But even those benefits are not nearly as great as the benefits of a single country’s single market. The single market within Germany is much closer and more harmonious than the single market between Germany and France. So while an independent Scotland would no doubt maintain a close economic relationship with rUK, it would not be as close as at present. It would be more like the relationship between Germany and France than the relationship between Bavaria and Saxony. Does this matter? Well actually it does. The UK’s economic recovery is fragile. There is a lot to do before the economy will be on a really firm footing. The one thing none of us need is disruption to the UK single market, even if that disruption were to be relatively slight. Markets hate uncertainty. Businesses like to be able to plan. But what would divorce proceedings bring if not uncertainty. Suddenly a three hundred year old marriage that everyone the world over took for granted would be about to end. Other separatist movements in Spain or Belgium would take heart. Perhaps the Québécois would try again. 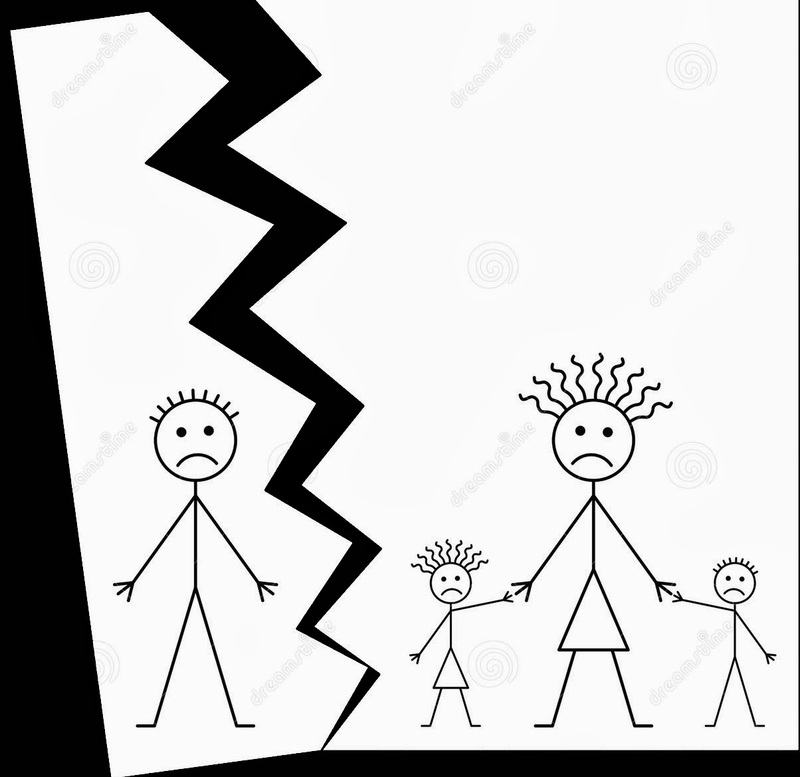 Would these divorce proceedings make the recovery in Britain, more or less likely to continue? Would the world economy be grateful to the Scottish nationalists for their contribution to stability and confidence? It seems unlikely. Because we have lived in one country for so many years, we’re all rather mixed up together. So are our businesses and services. What’s more there are three hundred years of law and practice to disentangle. What do you think our politicians would be doing in the event of Scottish independence? On both sides of the border they would be spending nearly all of their time on the divorce proceedings. Think about how difficult it has been for successive Governments to change longstanding institutions like the House of Lords or to bring improvement or reform to public services. Sometimes successive Governments of different parties have tried, often in vain, to make, for instance, the Civil service more efficient. We know that it is difficult and time consuming to bring about change. Does anyone then think that dissolving a three hundred year relationship will be straightforward? The reason why this is important is that what we really need is for our politicians to be focussing on bringing growth to our country. 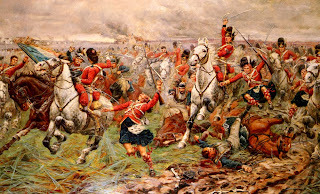 Instead they would be involved in arcane constitutional matters concerning Scottish independence, the division of assets and liabilities and trying to find a way to disentangle three hundred years of living together like a family. Does anyone think that if our politicians focus on these matters rather than the economy, this will be of benefit to any of us in terms of prosperity? No one knows how the independence negotiations would go. No one knows whether they will be easy and harmonious or hard and acrimonious. But everyone can agree that to some extent at least they will be disruptive and this will have an effect on all of us wherever we live in the UK at present. They are just what none of us need while our fragile economic recovery is beginning. I would ask my friends in the other parts of the UK the following question. Do you think we will be more or less secure if our armed forces and security services are divided? The Royal Navy would no longer be patrolling our northern shores. So your northern flank would depend on armed forces which you no longer controlled. MI5 and MI6 would no longer be responsible for security in Scotland. Would this make it more or less likely that terrorists might find a way past our defences? 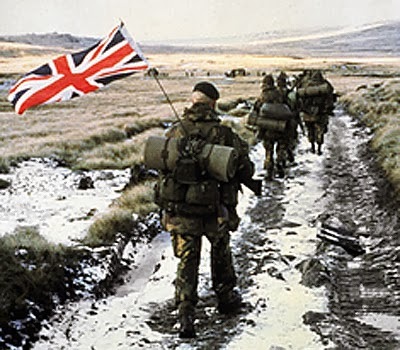 Even if the rUK and Scottish armed forces and security services were to get on especially well, and it would clearly be in their interest to do so, we know from history that the weakest point is always where two allied armies meet. I would also like to ask my friends in the other parts of the UK. Do you really want to lose what must be about a third of your territory? In addition you would lose who knows what fraction of your coastline. Most British people feel strongly about our fellow Brits even if they live overseas. 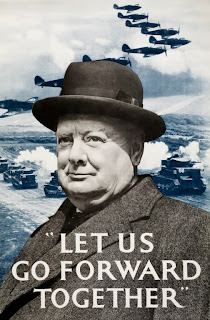 We’d fight for Gibraltar. We fought for the Falklands. Yet while you care about a far away place in the South Atlantic of which you know nothing, many of you could not care less about the loss of a part of your own country to which you are joined both physically and with shared ties that stretch back centuries. Anti-Scottish banter is all very well, but you do realise that you would be losing a part of Britain forever? Would you be equally happy to lose Cornwall? What it amounts to is this. Do you really want a foreign power north of the border? This foreign power could immediately act in ways which would be contrary to rUK’s interest. That means contrary to your interest. This foreign power would be a competitor. It would try to attract business away from rUK, perhaps by setting rates of corporation tax in such a way as to attract business away from England, Wales and Northern Ireland, perhaps by making alliances and deals with other foreign powers. Do you really think that this is in your own interest? The nationalists want your hostility. Do you really want to play into their hands by saying good riddance to your fellow countrymen, your fellow Brits? They want a disunited UK. That’s why they sow discord with university tuition fees that only your kids pay. That’s why they try to treat people from different parts of the UK differently. They want you to resent any special treatment that is given to us Scots. But most Scots are not nationalists. We don’t see any real difference between us and our friends, neighbours and relations in England, Wales and Northern Ireland, beyond a slight difference in accent. Most of can find an ancestor born where you come from, even if our surname begins with Mac. The English speaking peoples of this island are as mixed up as the Italian speaking people of that peninsula. It makes as much sense to divide us as it would be to divide them. I would love to hear about a similar "rally" in Britain, with people from all parts of Britain. I honestly believe there are enough pro-unionist Brits to do so, with enough dedication to do so. There just needs to be the proper planning. Do you think perhaps Better Together might be able to piece something together? Also, I would love to hear about the writing of "A Declaration of Inter-dependence," signed by as many Brits, from all locations and backgrounds, as can be mustered. I do so hope these "demonstration" ideas will be made use of, since I fear the Unionists tend to be a little "laid back" in their methods. In reference to your other post about "these people may win", I just want to express my shared emotions of apprehension as the referendum nears. I know it sounds silly, but, even though I'm a mere overseas activist, seeing "2014" written actually has started to make me feel queasy! Anyway, I know it must be horrifically worse being British yourself, but I want to encourage you with the thought that no matter what happens, some things won't change, such as art, culture, music, religion, literature, etc. I know you know this, but it helps me to think of it also! So don't burn yourself out with politics; balance your posts with other things, as well. I'm praying all the time for Britain; I'm actually going to be singing "Our Lady of Britannia" at an upcoming performance at the Eichelberger Performing Arts Center, where I will dedicate it to the unity of Britain in this year of 2014. At this point, as we can do is work as hard as we can, and leave the rest to providence. P.S. As you probably know, I've started a new blog, "Union Jack Chat", for the purpose of collecting interviews from various unionists, and hopefully brain-storming some pro-active ideas for this final events before the referendum. I would be honored if I could interview you.